This drill is can be used for working up to more complex passing-in-motion drills. When teaching new passing skills, I generally like to start with stationary passing. We may spend more or less time at this phase, depending on the age and skill level of the players I’m working with. But the intent is to workout the mechanics of the skill, without any other variables. 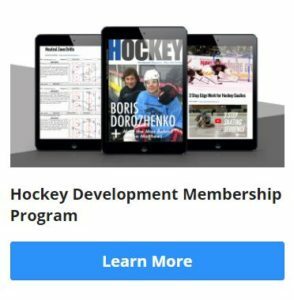 The eventual goal is to be able to perform complex passing and timing drills, game situation drills, area passing, with game like speed and game like pressure… but we have to build up to that point. This Circle Passing Drill is a great “interim” drill to build from stationary drills to the more complex stuff described above. It incorporates a bit of movement, and requires more thinking, but isn’t full-blown game pressure. 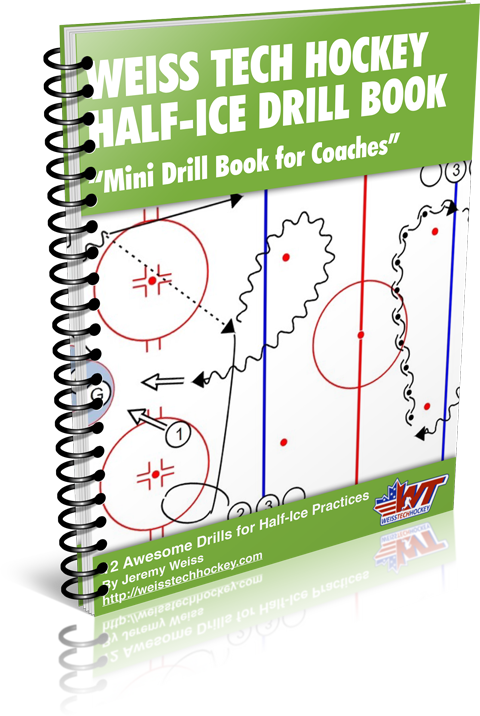 The basic, 5-man version of this drill can be used with U8’s, and the 6-man version can be developed and used effectively all the way up through college levels of play. NOTES: Designate which pass type you want to work on. Designate which pass type you want to work on. 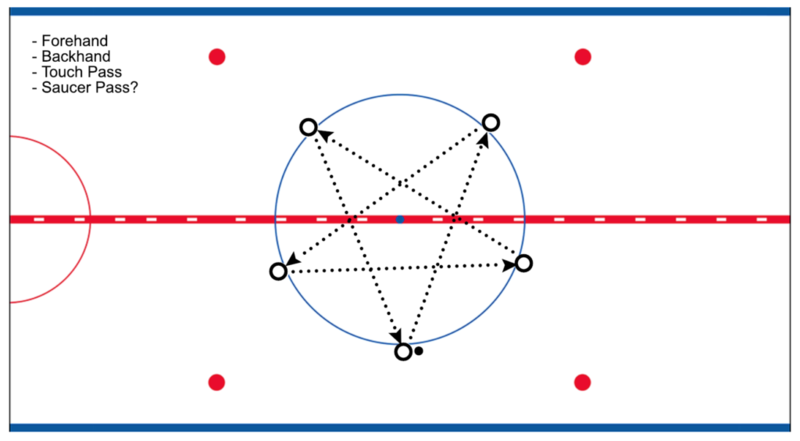 If running touch passes, have the players skate into the pass. 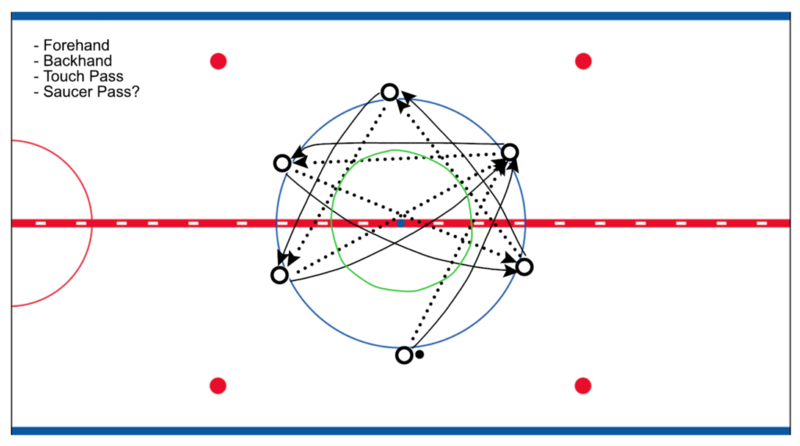 When done well (on touch passes), most puck touches will take place inside the green circle. As players improve it becomes even more important to SPRINT to the next position. If not, they’ll get in the way of the passes in the middle, and they won’t be in position to receive their next pass.